I have to admit. This is a new one, even for me. And not so sure I am on board with this. It screams gimmick to me. 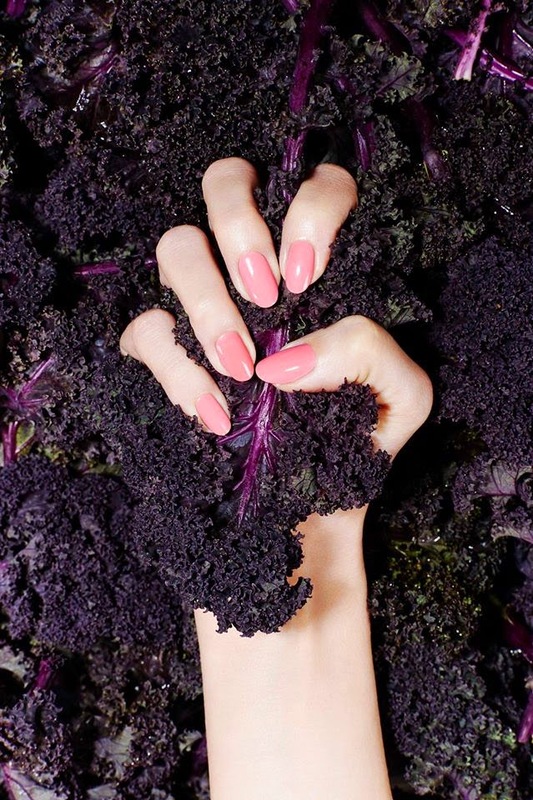 Check out this season’s most desirable catwalk inspired shades formulated with kale extract to treat your nails. REALLY? Your nails are dead. I am not sure how kale, superfood or not, is going to do anything for your nails. It would be a different think (though my eyes would still roll a bit) if it was an oil or elixer you were rubbing in to your cuticles, bur REALLY? I may end up getting some. But not because they are a super food for your nails or because of the kale, but because there are some pretty shades. But really people?